Dr. Emily Hobart (second from the right) poses for a photo along with South Carolina dentists and ADA President Carol Gomez Summerhays at the Washington Leadership Conference. Last week I was given the opportunity to attend the ADA’s Washington Leadership Conference (WLC) in Washington, D.C. The South Carolina Dental Association wanted new dentist representation on Capitol Hill and graciously invited me to go. I was excited, but little did I know I was about the have travel experience of a lifetime. Have you ever seen the holiday classic Planes, Trains, and Automobiles? Well, it was like that, but without John Candy and Steve Martin to make me laugh. 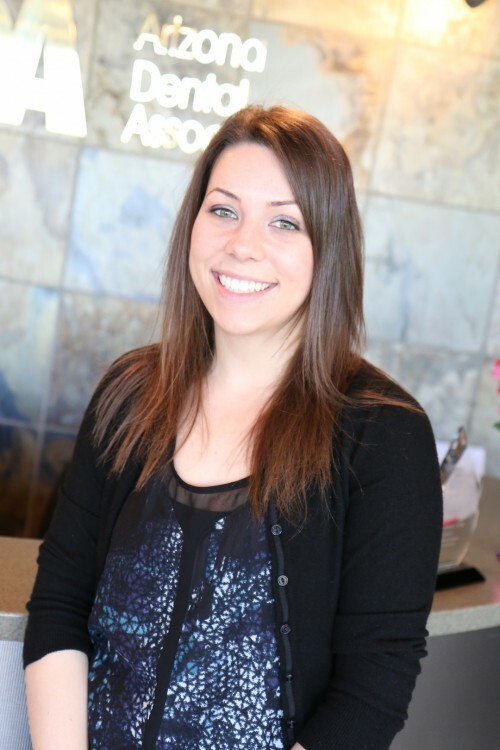 Looking back on this crazy situation reminded me of my life as a new dentist. It has definitely had its trials and tribulations. It all started on Sunday night. I arrived at the Savannah/Hilton Head airport with a comfortable two hours before my flight through Charlotte, North Carolina, to D.C. I waited until it was finally time to board around 8 p.m. I got to my seat and settled in, we taxied out to the runway, and all of a sudden that familiar bing bong of the intercom rang out. The pilot informed us that due to bad weather in Charlotte, we would be waiting until we were given the go ahead to take off. And wait we did…on the tarmac…for two hours. Then we taxied back to the terminal, got off the plane and waited for another two hours. Others around me were frustrated and worried about missing their connections, but I had an odd sense of calm. “I have plenty of time before the conference starts tomorrow and I don’t have to go to work until Wednesday,” I thought to myself. After the four-hour delay, we finally flew to Charlotte, arriving around 1 a.m. I ran across the airport to my connecting flight to find that it was miraculously still there! I presented my boarding pass to the gate agent with a big smile on my face. “We gave your seat away to someone who was on standby from another plane,” she said. “You no longer have a seat on this plane.” My heart sank as I watched the boarding doors close and the plane I was supposed to be on back away from the terminal. The gate agent rebooked me on the first flight in the morning, leaving at 7 a.m. She informed me that since the delay was due to weather, American Airlines would not be offering me a hotel and advised me to stay at the airport tonight since my flight would be leaving in six short hours. “OK,” I thought to myself with forced positivity, “I can handle this!” I spent the night attempting to sleep on a cot with a thin airplane blanket and pillow in the middle of Terminal D.
I woke up, looking like an extra on The Walking Dead, and headed over to my terminal. When I presented my boarding pass, they informed me that my flight was actually at 7 p.m., not 7 a.m.! The gate agent had made a mistake last night. WHAT!? My eerie sense of calm dissipated and I started to get emotional like an overtired toddler who missed their afternoon nap. I couldn’t believe it. For the next few hours, I attempted to get on standby on two planes, but failed because everything was booked up after the delays from the thunderstorm. Finally a customer service agent was able to get me a seat on a plane to Dulles Airport (not Reagan, which is where I was originally going) that would arrive around 11 a.m. I got on the plane and made it to Dulles, only to find that my checked bag had gone to Reagan, which is about 30 miles away. I then took a shuttle from one airport to the other, picked up my bag, and got a taxi to the hotel where the conference was taking place. Looking like death personified and very out of place in the fancy lobby, I strolled up to the check-in desk at the Marriot. I checked in, ran up to my room, took the second best shower of my life (the best being right after I completed my first 13-mile Tough Mudder race in cold, wet January conditions), and made it to the conference just in the nick of time! I was exhausted to say the least, but I did have a very enjoyable time at my very first WLC. 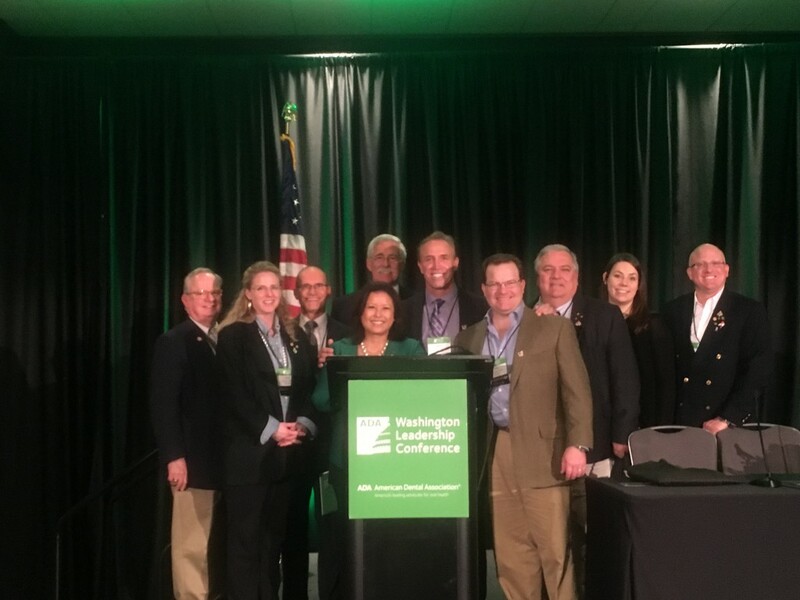 The Washington Leadership Conference is an annual event at which dentists from all over the country meet at our nation’s Capitol to talk with their state senators and representatives and discuss issues affecting our profession. The first day consisted of training on how to best reach our members of Congress and the second day consisted of individual meetings with senators and representatives or their staff. 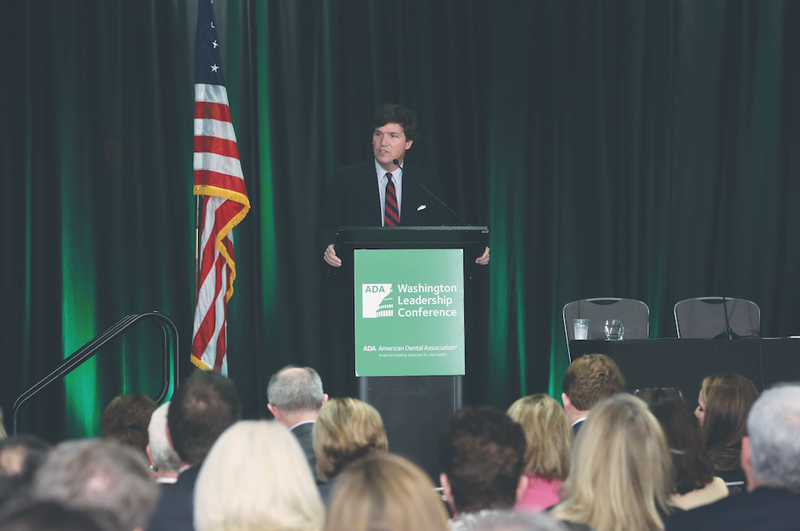 On the first day, we had Tucker Carlson from “Fox & Friends” as the keynote speaker. He discussed the political climate in our country and I was pleasantly surprised at how non-biased and interesting his presentation was. I had a great time meeting other dentists from South Carolina and trekking around the Capitol building together on the second day. My topic of choice to discuss was student debt, as obviously that hits a little closer to home for a new dentist (my debt is still around $483K even a year after graduation). Here are the bills that we discussed in case you would like to look into them further: H.R. 649, H.R. 4223, H.R. 4062, and H.R. 3323. Flash forward through the conference to Tuesday night. I am sitting in the Reagan airport comfortably early once again (and carrying on my bag this time) and waiting for my flight through Charlotte to Savannah/Hilton Head. Bing! A notification pops up on my phone from American Airlines stating that my flight to Charlotte is delayed. Here we go again. While waiting for my delayed flight, I sat at an airport bar to charge my phone. Next to me is an extremely inebriated girl who I come to find is also going to Columbia, South Carolina (where I live). She is so sick that EMTs are called to take her to the hospital due to alcohol intoxication, and in the scramble, they take my backpack with my laptop in it to the hospital thinking it belongs to her. I am panicking because I think that it was stolen. Eventually I board my plane to Charlotte, making it just after my flight to Savannah already left. They rebook me on a flight the next morning that would leave me arriving too late for work the next day. I head to the rental car counter hoping to find a car to make the hour-long trip to Columbia from Charlotte. I will worry about the fact that my car is in Savannah/Hilton Head later. I get to the rental car counter to find that there is only one car left, and that the gentleman next to me is currently renting it. Thankfully he is a dental rep who is also going to Columbia for a meeting and we strike up a conversation. He offers to share the car with me. An hour’s drive later, I am home safe and sound (and carless and laptop-less). Thankfully my coworker is able to carpool with me to work in the morning. The next day, I get a phone call from the girl who went to the hospital saying that she has my backpack and that she will bring it with her on her flight to Columbia and leave it at lost and found in the airport for me. My faith in humanity is restored! In the end, I was mentally, physically and emotionally exhausted from so many unfortunate events in a row. With this travel SNAFU, in the end, things worked out. I could have given up at any point along the journey, but I didn’t. Perhaps this was the universe’s hilarious way of telling me not to give up. Getting through the ups and downs of being a new dentist will, in the end, make me a better dentist! Definitely a busy trip for you! Thanks for the share, love reading your blog.